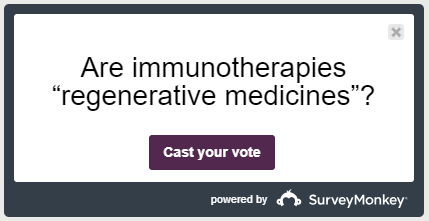 Share your thoughts on immunotherapy in our weekly polls! 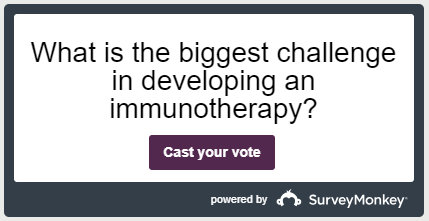 Catch up with our weekly polls delving deeper into immunotherapy around the world. With a new poll every week, we're finding out more about what you think about immunotherapy. If you missed any, catch up below. What is the biggest challenge in developing an immunotherapy? 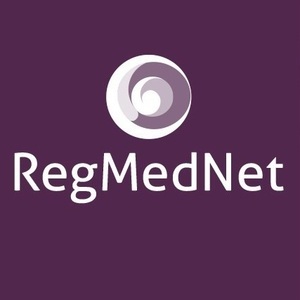 Will immunotherapies cost less in the future? 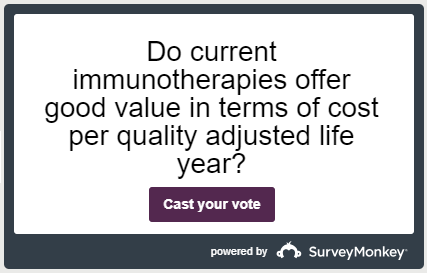 Do current immunotherapies offer good value in terms of cost per quality adjusted life year?